A WOMAN WHO had a delayed cervical cancer diagnosis uncovered in a recent review by the HSE has been told that her cancer has returned and is terminal. Emma Mhic Mhathúna, a mother of five children, has said her family is “devastated” by the news. Speaking to RTÉ Radio 1′s Morning Ireland, Emma said she received the news this week and has told her children. Emma, who lives in Kerry, previously underwent treatment for cervical cancer and had received the all-clear last month, but had been feeling unwell recently and feared the disease had returned. In a deeply emotional interview, Emma said telling her children the news was extremely difficult. It was the hardest thing I’ve ever had to do because as a mother my job is to protect them … I had to collect them from school early and tell them that I’m dying. It’s a horrible thing to witness to be honest, there’s so much pain in the house. Emma underwent smear tests every three years since the birth of her 15-year-old daughter Natasha, and all the results had come back as normal until 2016 – when she was first diagnosed with cancer. A smear test result in 2013 incorrectly came back as normal. Clinical Pathology Laboratories for €2.5 million over incorrect smear test results from 2011. At least 17 women wrongly given the all-clear following their smear tests have since died. Health Minister Simon Harris has launched an inquiry into the controversy. 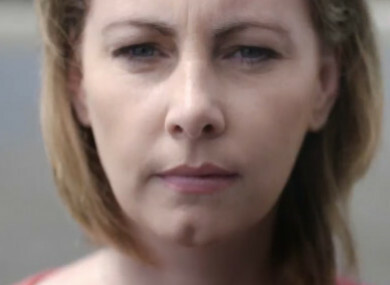 Emma and her daughter Natasha feature in a video produced by the HSE last year in a bid to increase the uptake of the HPV vaccine. “There wasn’t enough uptake on the HPV vaccine. After what I’d gone through … I said I’d have to take a stand and help people,” Emma said of the video while speaking on RTÉ Raidió na Gaeltachta last week. “My children are going to be without me and I’m going to be without them. I tried to do everything right … I don’t even know if my little baby is going to remember me,” Emma said today. She also expressed anger with the response of the government and the HSE to the controversy. Tony O’Brien, Director General of the HSE, was asked about the interview while appearing before the Public Accounts Committee (PAC) this morning. He said he “wasn’t in a position to hear the interview” but will listen to it “when I have an opportunity to do so”. “It is clearly always very tragic when any young person receives a diagnosis of terminal cancer,” O’Brien said. In a robust exchange, MacSharry said if such a controversy had taken place in the private sector, O’Brien would “be gone months ago”. He noted that CervicalCheck is a screening rather than diagnostic programme, and is not perfect. He later said that the programme has saved many lives. O’Brien said people shouldn’t jump to conclusions before the outcome of the inquiry into the controversy. Sinn Féin TD David Cullinane told O’Brien: “You have a job to do as Director General of the HSE, we have a job as public representatives to hold you to account. He said O’Brien’s resignation would be “the very first step in you taking accountability and the HSE taking accountability”. “Anybody with half a brain would know that it is a systemic failure,” Cullinane said, adding that it “speaks volumes” that O’Brien disagrees. O’Brien responded by saying there is a difference between a system failure and a systemic failure. O’Brien noted that only 48 of the 209 women whose results were examined in an audit into CervicalCheck smear tests were informed. He said certain people spent “far too much time” deciding who should tell the women involved, adding that this was not an official position taken by the HSE. O’Brien said a memo that was given to him in 2016 about the communications process regarding this audit didn’t ring any alarm bells at the time. “I was aware of a detailed plan to communicate the results of that audit. I was never subsequently advised that anything had gone wrong in that communications plan,” he said. O’Brien said he will attempt to give the PAC a copy of the memo today. Social Democrats TD Catherine Murphy described Emma’s terminal cancer diagnosis as “a catastrophic failure for her and a catastrophic failure for the health service”. She said the doctors who failed to tell patients about issues with their smear tests “were playing with people’s lives”. O’Brien said “anyone who is found to have failed in their duty” will be held to account following due process and disciplinary procedures. He said the outcome of this process will be made public once it is complete. He said he takes “partial responsibility” for what happened but cannot be held accountable for the actions of others. O’Brien said the public is generally well-served by employees of the HSE and CervicalCheck, who are “as devastated as anybody by the circumstances that have now unfolded”. Email “'I had to collect my children from school and tell them that I’m dying': Emma Mhic Mhathúna”. Feedback on “'I had to collect my children from school and tell them that I’m dying': Emma Mhic Mhathúna”.